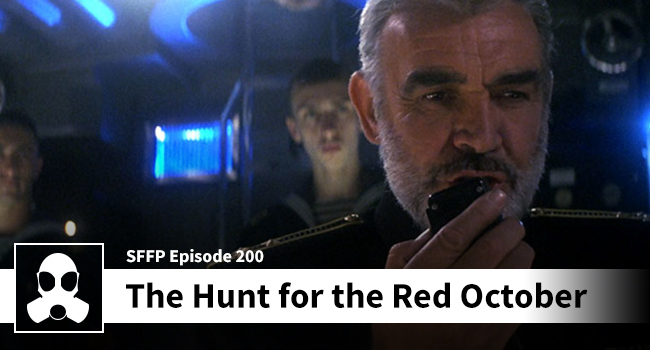 This week Dean is joined by Josh and they are breaking down “The Hunt for Red October” a film that the two of them have watched together dating back to the 90s. Although Josh is an admitted fan-boy of Harrison Ford (who is more well known that Baldwin for playing Jack Ryan), he found Baldwin’s performance perfect for the character. Dean and Josh both get into the fantastic cast and wonderful editing in this (we are calling it) military thriller. Don’t worry, plenty of jokes are had at Tim Curry’s portrayal of den-mother (read: hopeful lover) Dr. Petrov and his insistent care for all the sinewy seamen under his charge (read: he wants to bang them). Special thanks to all of the listeners who chipped in to get this guild bounty covered.